In a physical confrontation, there’s a fine line between assault and self-defense, but the distinction is critically important since punishment for even a misdemeanor assault charge (3rd degree assault) can bring jail time. And your rights to defend your property may not extend as far as you think they do. To help illustrate the not so clear distinction between assault and self-defense, three common but fictitious scenarios are outlined below – followed by a verdict and a brief explanation. As you read through the scenarios, try to determine if it’s assault or self-defense. John and Jane have been living together for almost five years. Their friends and family insist they are a great fit for each other, even though they are known to verbally fight with one another. It is hard to say who starts the fights – though it is easier to hear John because he is louder than Jane. One night, after a particularly long and louder than usual confrontation, the neighbors decided to call the police and report the domestic disturbance. When the police arrive, John answers the door. Jane is sobbing on the couch. They both look disheveled, yet John is the only one with any kind of marks on him – they were teeth marks. When the police ask what happened, Jane jumps in and exclaims that he was holding her, arms pinned to her body and she could not break free. In order to be released from John’s grasp, Jane bit his arm and pushed him away. 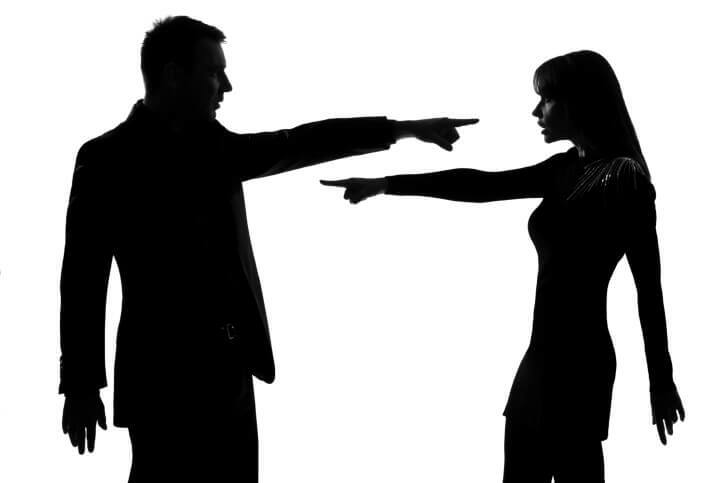 Someone has to be taken down to the station on a domestic dispute call, but who? In Colorado, police officers must determine whether John or Jane is the initial aggressor. If the police believe Jane’s version of events, John will likely be taken into custody. On the other hand, if police do not believe Jane’s version, she is likely to be taken into custody. The interesting factor in this scenario is the neighbors. They have reported this incident and will be interviewed as witnesses, even though they only heard what was happening. John’s louder voice will likely color their statements. The police will use this information in determining whom they believe. Additionally, in this scenario, John has not given a statement contrary of Jane’s version of events. Assuming John has exercised his fifth amendment right to silence, the police will only have Jane’s version to go off of. When coupled with the gender bias that exists in domestic dispute investigations, I believe John will end up being taken into custody. As fall replaces the dog days of summer, millions of Americans are anxious for football season. Many look at it as a way to bond with friends and family; others simply see a chance to go tailgating. Nine times out of ten, tailgating is a fun event. But when you add a fiery passion for the Broncos or CU Buffaloes, alcohol, and passionate opposing fan base, there’s bound to be a confrontation. Jamie Denver got involved in such a confrontation after tailgating with friends and family before kickoff. J.D.’s been set up and tailgating for hours before the game. Thirty minutes before kickoff, an intoxicated Raiders fan strolls by and starts talking trash. Friends have said that J.D.’s passion for the Broncos was topped only by the Barrel Man. As such, she was not one to take trash talk lightly. After a few minutes, voices are raised, mothers are insulted, and a fight breaks out. Police, just around the corner, hustle to break up the fight. It turns out Jamie threw the first punch, but the Raiders fan was the one provoking J.D. and outweighed her by a hundred pounds. This case sets out a scenario where police must determine whether J.D. 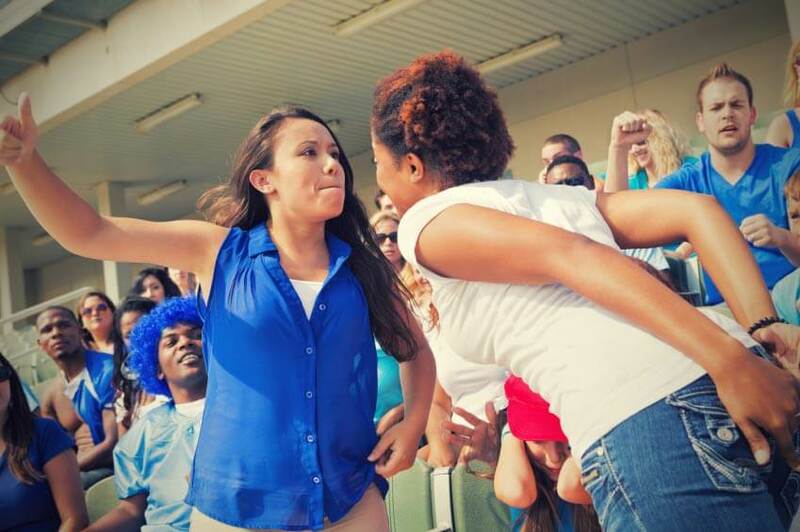 was acting in self-defense or defense of others when she took the first swing at the Raiders fan. In order for Jamie to be acting in self defense or defense of others, punching the Raiders fan must be in response to her safety being at risk and must be proportional to the threat. Witness statements will come in to play here. There is such a thing as fighting words the Raiders fan may have used. If Raiders fan threatened to hurt J.D. or her friends/family, she could be seen as a credible threat due to her size and threats made. If she made no such threat, but merely insulted J.D.’s team or self, Jamie’s actions would not be seen as self-defense and she could be charged with assault. Another important factor is in Colorado it can be a crime to fight in public. If the officers believe both parties were at fault for the fight, they could charge both with that crime. Aurora Munroe is a single working mother. Things have been tough since her husband didn’t make it back from his last tour of duty. She moved back to Colorado from Fort Campbell, Ky. to be closer to family. With his pension and her job, she’s able to pay bills, put food on the table, and save a small amount for her kids’ college fund. One morning, Aurora calls in sick since dinner wasn’t sitting well. About mid-afternoon, she hears shattering glass near back door. Thinking nothing of it, she checks out the noise. Half-way through the kitchen, she saw the back door wide open and a stranger rummaging through her living room. Aurora was feeling a mixture of fear and confusion as she saw her home being ransacked. The robber turns, sees the homeowner and walks toward her. With every step the intruder makes, Aurora takes one in the opposite direction, until her back is up against a kitchen wall. The burglar is close enough that Aurora can smell mixture of alcohol and body odor. She grabs the first thing from the kitchen counter and swings wildly at the intruder’s head, catching the masked man’s temple with the edge of a cast-iron skillet. The man staggers backward and starts to reach into his pocket. Not waiting to see what he pulls out, Aurora hits him with the skillet again. The man turns around and staggers back through the back door. Aurora chases him into the back yard and delivers a third crack of the cast iron skillet. The man is knocked out before he hits the ground. The police and EMTs show up minutes after Aurora calls 911. None of her belongings were stolen, and she is physically okay. The burglar suffered a cracked skull and brain swelling from the blows to the head. Did Aurora cross the line when chasing the burglar down OR was she within her rights? This case clearly implicates the defense of defense of property. People in Colorado have a right to defend their property with appropriate force. However, the other party fleeing can negate that right. 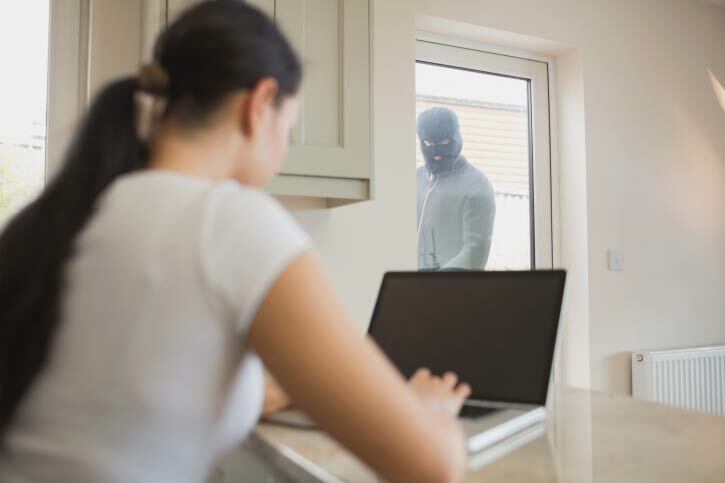 When someone enters your home in order to commit a crime, you are allowed to protect your property. The act of defending your property must be in proportion to the threat that is presented. In this case, a brazen burglar has entered Aurora’s home and is clearly presenting a credible threat by advancing towards her as she backs away. Her initial blow with the frying pan is more than justified defense of self and property. Then he reaches into his pocket for unknown reasons. Again, because he is in her home, the threat is credible and the second blow with the frying pan is more than justified. Where things get sticky for Aurora is when the burglar flees her home and she pursues. At this point, he is no longer a credible threat. He has not produced a weapon, he appears to be alone, and his is leaving the property. Police would likely determine that third blow was not justified. Aurora could very well be charged with a crime of assault based on this conduct. However, it is important to remember that numerous times in Colorado history, people have done worse in similar circumstances and not been charged, it is not guaranteed. What should be taken away from this is that Colorado does not allow one to pursue in defense of one’s self/home. While you are not required to run from your own home, when the offending party does, it is best to call the police and let them handle it from there.